One major concern these days is hairfall, lots and lots of hairfall. Reasons can be abundant, and medical and dietary remedies do exist. Another major concern for everyone (including me) is shampoo should not cause much hairfall in a shower. Let's see whether Satthwa Moroccan Argan Oil Shampoo cause any hairfall or not. 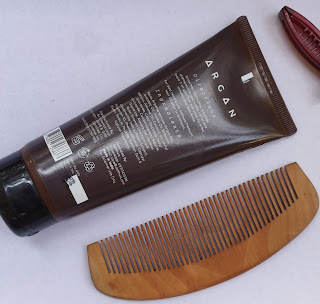 I have used one 200 ml pack of Satthwa Moroccan Argan Oil Shampoo and then writing this review. 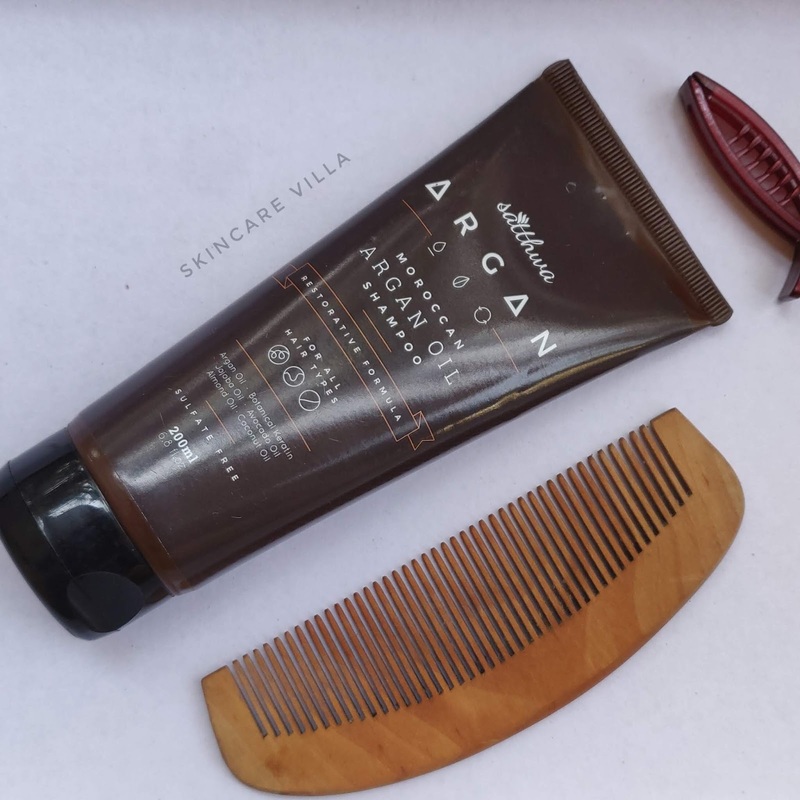 I have already repurchased the shampoo as it really worked well for me. Initially I used the shampoo on my bare hair without oiling and aloe vera gel as I wanted to gauge it's efficiency. The shampoo cleansed my hair well without drying it. I continued using it this way for some weeks. After about half way through the shampoo, I did an overnight oiling treatment of my hair and shampooed as usual. The shampoo didn't give me significant hair fall into the shower as other shampoos give me. So I was a happy bunny. Oiled hair require shampoo twice and believe me it didn't cause significant hair fall even after using twice. The foaming agents used in the shampoo are Lauryl glucoside, Coco Glucoside, Decyl Glucoside, Cocamidopropyl betaine. 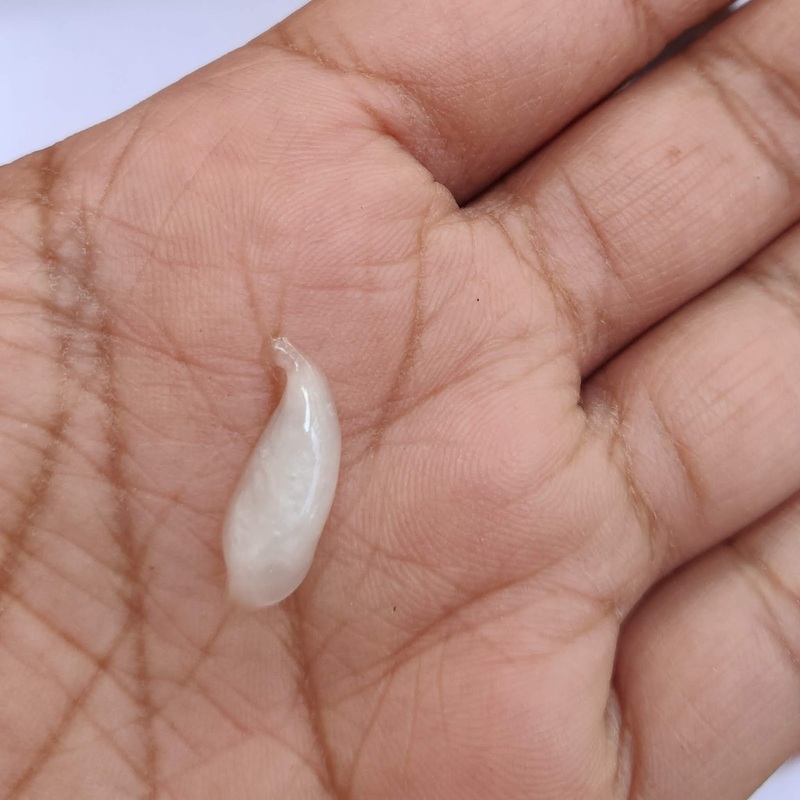 So these gentle cleansers in the shampoo are responsible for cleaning the hair as well as not causing any hairfall as they are safe to use in haircare and skincare. 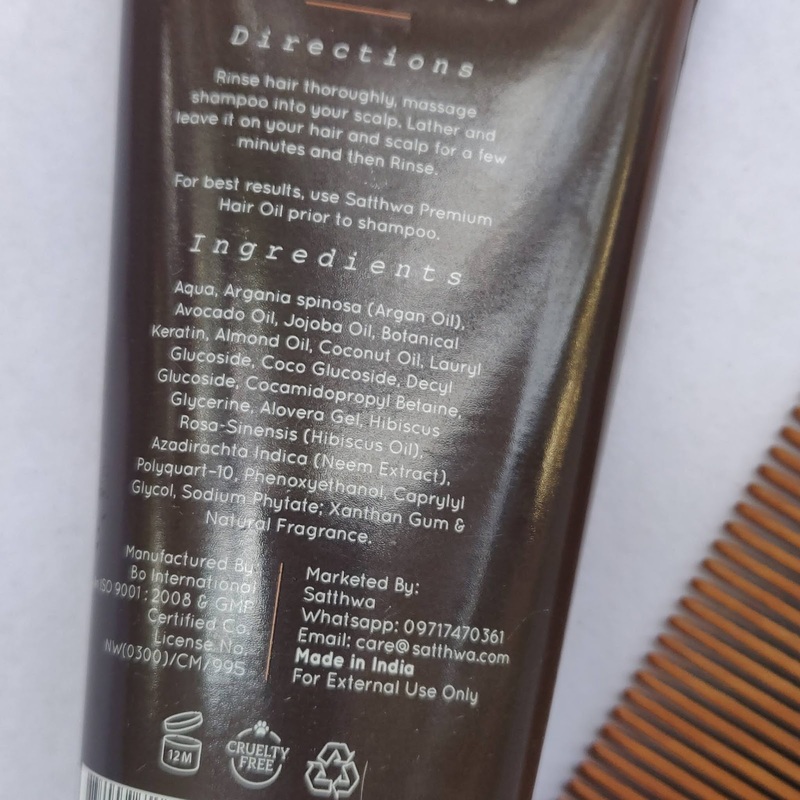 The ingredients list of the Satthwa Moroccan Argan Oil Shampoo seems pretty clean to me as I checked all the ingredients except Natural Fragrance, which isn't clear. But the shampoo has mild to negligible fragrance so that might not be a problem for many. The fragrance doesn't seem artificial at all and isn't lingering too. One more thing is the shampoo doesn't work on dandruff or oily scalp much. But the brand doesn't claim to even work on dandruff so that's not a problem for me. It doesn't remove all the oil from scalp and this is where it's magic lies I guess. So I prefer using in on my hair without oiling my hair and it works pretty well for me. After giving Satthwa Moroccan Argan Oil Shampoo a try from past 2-3 months I can say that this is a perfect shampoo for me. I used to shed hair in shower with other shampoos, but this shampoo doesn't. So this shampoo is like a saviour for my hair. Although extremely dry and frizzy hair might require a conditioner to take the frizz as this isn't moisturizing or hydrating shampoo. But if your major concern is shedding hair in shower, go for this shampoo. I have already repurchased it 😀. Also it will be great if brand could come up with an anti dandruff shampoo!! Cherry on cake, what say? What's in my Travel Skincare bag? What is a mini / multiplanar facelift?